For over 25 years, Jeff Evans’ global experiences as a worldclass mountaineer, guide and emergency medic have helped him master the skills of servant leadership, teamwork, communication and trust which are the cornerstone themes in his keynote and breakout sessions. Jeff’s amazing adventures and challenges have given him the tools to become one of the most dynamic and inspirational speakers on the circuit today, delivering his message to tens of thousands of audience members and changing the way we approach our roles within our work and family environments. Jeff reminds us that, in fact, that we are all guides in some capacity… professionally and personally. By utilizing real life stories, vivid images and thrilling video from his adventures around the globe, Jeff is able to extract the impactful themes that are applicable for every audience member and weave them into memorable, humorous, thought provoking and paradigmshifting keynotes. He is the published author of MountainVision: Lessons Beyond the Summit, and is featured in the award-winning documentaries Farther Than the Eye Can See, Blindsight, and High Ground. 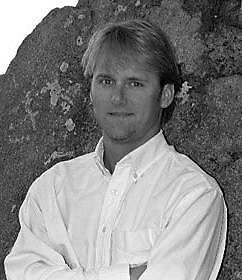 Jeff received his undergraduate degree in anthropology from the University of Colorado in Boulder, and his Masters as a Physician Assistant at Drexel University in Philadelphia. Jeff currently resides in Boulder with his wife Merry Beth, son Jace and dog Roka.